Composite materials unite the properties of often very disparate materials. This characteristic means that the materials are indispensable in many industries. Plansee is an expert in the field of materials and has plenty to offer in terms of composites. No less than three production locations focus on composite materials made from refractory metals: Plansee Composite Materials in Germany, Plansee Tungsten Alloys in France and Plansee Powertech in Switzerland. Thomas Granzer is head of development for composite materials at Plansee. 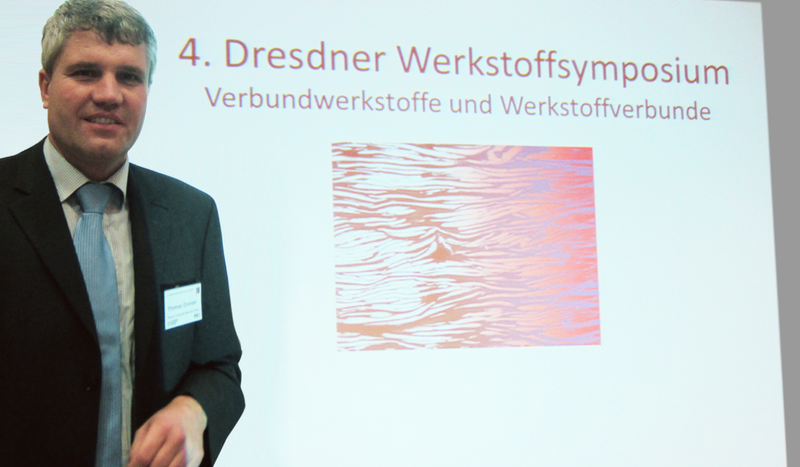 In a presentation at the Dresden Materials Symposium in November 2013, he reflected on the benefits of composite materials made from refractory metals in a wide range of industrial applications. Success in a nutshell: These materials unite the outstanding properties of refractory metals, on the one hand, and the properties of other "alloy elements" such as copper, iron or nickel on the other. Refractory metals such as tungsten have an extremely high melting point, a low coefficient of thermal expansion and good corrosion-resistance and shielding properties. At room temperature, however, they are brittle and difficult to machine. It is therefore unsurprising that the word "refractory" also means "stubborn" or "obstinate". Granzer: "And this is precisely why we create composite metals. Take the example of Densimet®, our tungsten heavy metal. It retains the properties of tungsten, and the addition of nickel and iron make it easier to machine. Or copper-tungsten electrodes for resistance welding: Tungsten delivers the necessary heat resistance while the strength of copper lies in its electrical and thermal conductivity." Plansee uses a number of different processes to manufacture its composite materials: Back-casting, liquid phase sintering or infiltration. At Plansee, these processes are used to create products such as plasma spray electrodes , resistance welding electrodes, stationary anodes for X-ray tubes, switch contacts for hi-voltage networks or shieldings against X-ray and gamma radiation. The wide range of applications for Plansee's composite materials is a reflection of their extraordinary properties. Anyone who missed the Dresden Materials Symposium can go to plansee.com to find out more about our composite materials and their fields of application.